You may soon be able to get a Netflix subscription at your neighborhood grocery store. The streaming video service announced in a letter to investors Monday that it's going to start selling physical gift cards in "select stores" in the U.S., Canada, Mexico and Germany -- a small number of the more than 40 countries where it will operate by fall. Apart from serving as a last-minute gift from the relative who has no idea what to get you, the gift cards will allow people to pay for Netflix without a credit card. Indeed, the picture of gift card in the investor letter shows it emblazoned with the phrase "no credit card required." "In mature markets, gift cards will extend our brand presence and make it easier to access Netflix," the company said in its letter. "In newer markets, gift cards help build the brand and provide an easier alternative for consumers to join Netflix in markets with developing online payments." 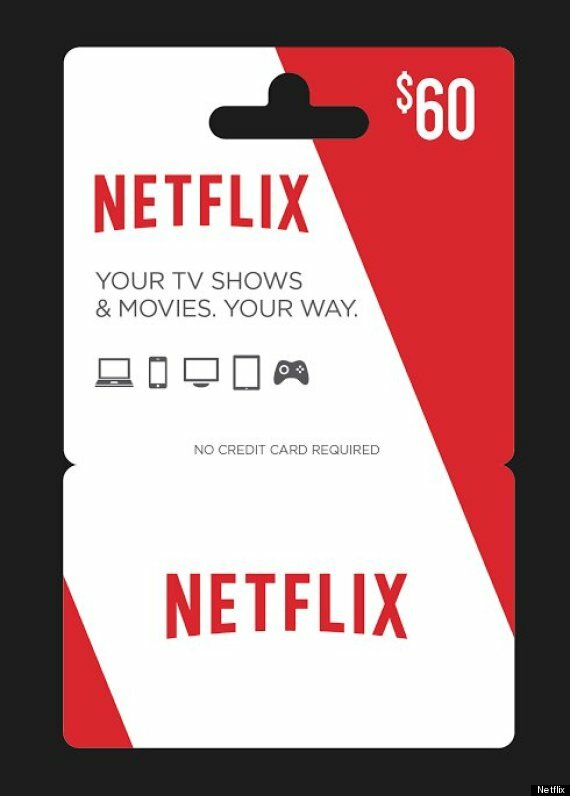 In the U.S. and Canada, it'll be great marketing for Netflix to have a display of gift cards at the grocery store alongside those of Starbucks and iTunes. And in Germany, where the service will launch in September, and Mexico, it'll simply be another way for people to pay for Netflix. Netflix left many questions unanswered in a short statement in its quarterly letter to investors, including stores where the cards will be sold and the denominations. Netflix included an image of a $30 gift card in the note. In the U.S., Netflix plans start at $7.99 a month. Netflix has in the past blamed slow subscriber growth in Latin America in part on issues related to processing payments -- a smaller proportion of people in the region use credit cards and debit cards. Reed Hastings, Netflix's founder and CEO, referred on Monday to the "tremendous payment complexity" in Brazil. Netflix wouldn't comment about bringing gift cards to other countries, but selling them in Mexico may be a test. Mexico is not only the second-largest economy in Latin America, but one where only about a quarter of the population has a bank account. "Latin America is one of the tougher markets for digital commerce," Julija Jurkevic, a global research analyst at SNL Kagan, told The Huffington Post. "I would expect them to actually introduce [gift cards] in more of the Latin American markets."